At every Cinderella Project of Maine giveaway, we ask each girl who receives a dress to pay the favor forward by volunteering or doing something nice for someone else. Sometimes, even the simplest acts of kindness can end up meaning the world to someone. This year, to demonstrate the impact of paying it forward, we decided to take on a pay it forward project of our own, with the help of a few high school girls and some dedicated Cinderella Project fairy godmothers. We learned about a group of girls in Venetie, Alaska (220 miles north of Fairbanks in the Arctic Circle) who when asked what they wanted more than anything, said a prom. None of them had ever had a prom before and when we asked if they were low-income, we received an amused chuckle and were informed that most of the village makes a living by hunting and gathering. 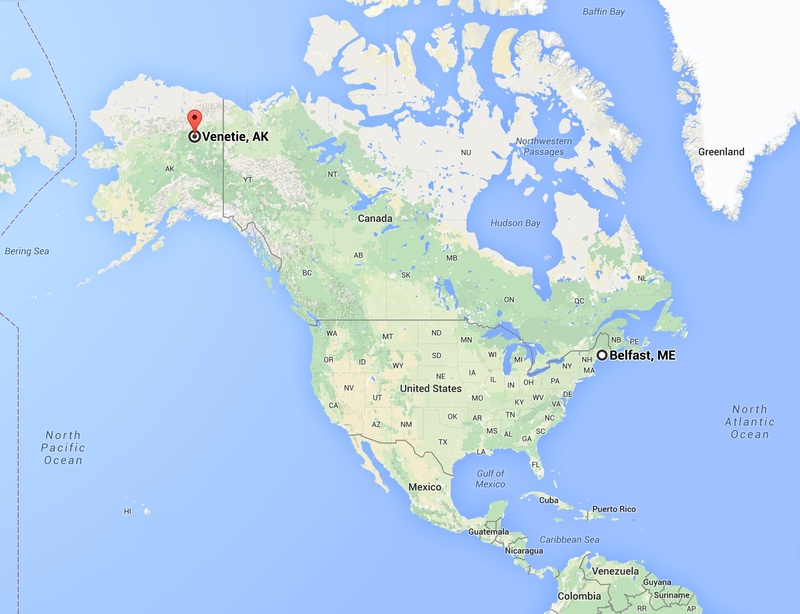 Since Alaska is outside of the Cinderella Project of Maine’s service area, we knew we wouldn’t be able to help directly. However, we did know a large group of great Maine high school girls who promised to pay it forward who probably could and they did. To those of you who helped get these dresses together, thank you, from here to Alaska and back. To find out just how much these dresses ended up meaning to the teens of Venetie (with a total population of 163 according to the U.S. Census Bureau), check out the blog post below. It was written by a former Islesboro, Maine resident named Keely, who blogs her experience as a teacher in Venetie and explains what it’s like to live there, away from her parents who live in Belfast, Maine. Her parents and their neighbors also helped to make this happen, which just goes to show what awesome things can happen when everyone gets together to help. Keely has promised us pictures of the girls on their prom night, so keep an eye on our Facebook page for more! I can’t wait to get some pictures on the big night! I’m sitting in the gym right now looking up how to make a balloon arch and shaking glitter out of my hair, thinking I’ll never have the energy to get through these next few days and then catching sight of these girls owning this event and making art and getting a total happy rush. It’s awesome. Previous PostPrevious Did you know it’s our 10th anniversary!? Next PostNext Volunteer to be a Fairy Godmother at the 2017 Belfast Cinderella Project of Maine giveaway!